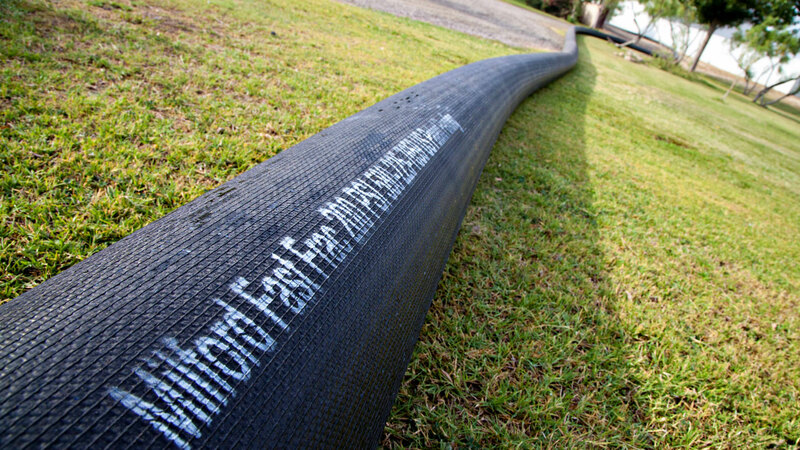 The Milford Fast Frac Lay-Flat Hose is a cost-effective and leak-free solution for the transfer of fresh and produced water. Our Proven Turn-Key System is designed to eliminate leaks, and keep containment when transferring produced water. This system also Reduces waste and the Expenses of lost water during Fresh Water Transfers. 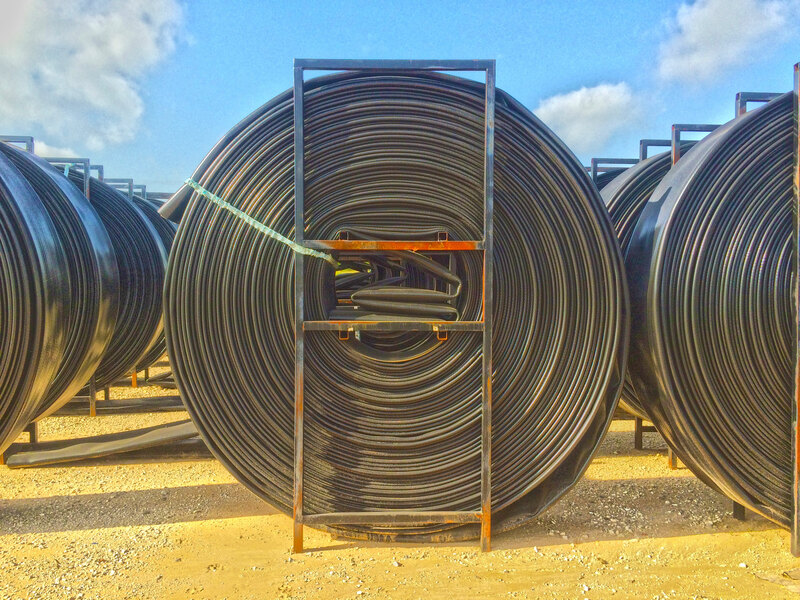 Our Premium and Flexible Nitrile Pipeline is compatible with Brine water, sand, most chemicals, oil based fuels and is also resistant to both UV and abrasion. Please choose either Milford Fast-Frac (Nitrile) or Milford Polyurethane. Are you interested in our deployment and retrieval equipment or need other accessories to complete your order? Inch psi psi lb/ft inch ft.
Milford Polyurethane Hose is made from single extruded through the weave thermoplastic based polyurethane (TPU) with excellent wear & tear properties. The reinforcement is made from circular woven filament polyester yarn. The “extrusion through-the-weave” production method gives a very strong bonding between cover and lining as well as firmly encapsulating the woven polyester.